Asanas which form the Backbone of Hatha Yoga! Home » Knowledge Base » Asanas which form the Backbone of Hatha Yoga! In continuation to our last blog-post on asanas and their effect on our bodies, we will now discuss the yoga postures which form the very backbone of yoga, they have been practiced since ages by the seers and many yoga gurus, Yogi Swatmarama, the author of Hatha Yoga Pradeepika have also talked about these asanas in detail in his book. This article will be more pictorial for the better understanding of the poses. Bhadrasana , also called as Gracious pose, Bhadra in English means Auspicious and asana means pose, this pose is practiced with knees separated while keeping the toes in contact with the floor. 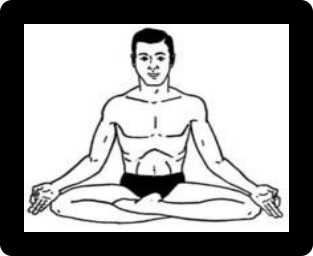 Bhadrasana is known to activate the root chakra or mooldhara chakra. Simhasana, also known as Lion pose. 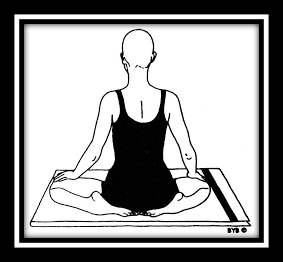 This asana is practiced by kneeling down the floor with knees apart,the toes of the feet remain in contact with each other and palms of the hands are put between the knees, resting the body on the arms completely, then inhaling through the nose and exhaling out the mouth by forcing the tongue out, eyes remain wide open and is focussed on the ceiling ,usually the mouth is opened to roar like a lion, that’s why it is named as lion pose. It’s supposed to balance the throat chakra. 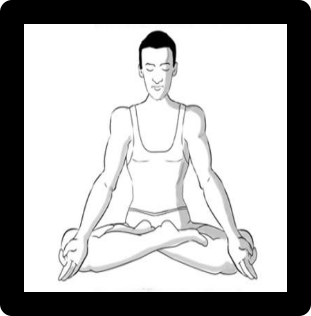 Siddhasana, like padmasana this asana is used for practicing pranayama or yoga, Siddha means perfect/best and asana means pose, therefore best-seated position. The heel presses the perineum while the sole remains flat against the inner thigh. The body sits atop the heel. The above four asanas are the most important asanas which one needs to practice before delving into the deeper depths of yoga.